Premium skin essentials for lightening, perfect to even out the darker skin areas that you might want to target, like your elbows and knees. Revitalizes the skin to leave it more vibrant and smooth. 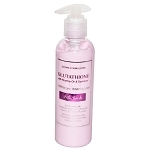 Number one selling Glutathione skin lotion in the Philippines. Cetyl Alcohol, Stearyl Alcohol, Octyl Methoxycinnamate, Ceteareth-25, Cyclopentasiloxane, Caprylyl Methicone, Aloe barbadensis Leaf Extract, Cucumis sativus Fruit Extract, Cyclopentasiloxane, Dimethicone Crosspolymer, Cyclohexasiloxane, Propylparaben, Methyparaben, Octadecyl Di-T-Butyl-4-Hydroxyhydrocinnamate, Carbomer, Triethanolamine, Mannitol, Sodium Gluconate, Citric Acid, Sodium Citrate, Waltheria indica Leaf Extract, Destrin, Ferulic Acid, Water, Ascophyllumnodusum Extract, Potassium Sorbate, Citric Acid, L-Glutathione Reduced, Fragrance, Panthenol. Apply generously all over hands and body as often as needed, concentrating on dark areas such as knees, elbows, and underarms. 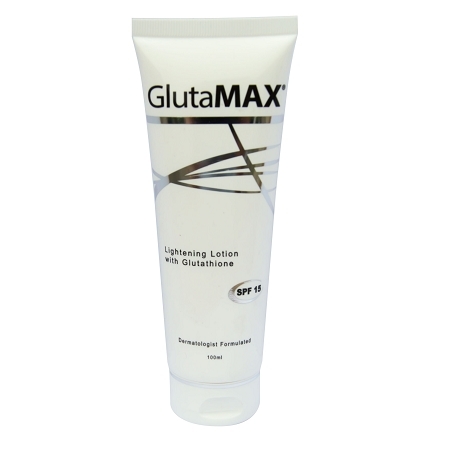 For best results, use with other GlutaMAX products. I love this lotion, it made my hands softer and lightened out dark marks on my hands and feet. love this product and it ships out fast .